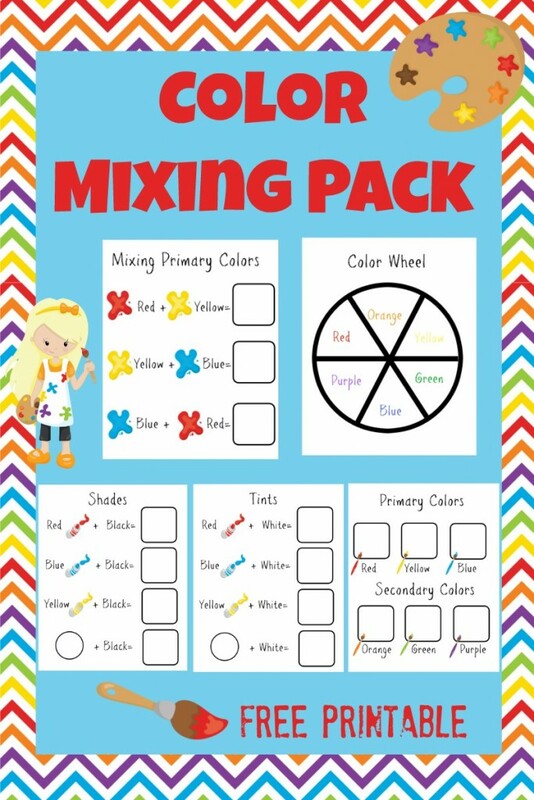 If you’re looking for a fun and easy way to teach color mixing, primary and secondary colors to young kids this pack is just the thing. 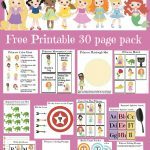 It includes five different fun printable pages that guide children to experiment with mixing different colors. Take a peek at the pages included. 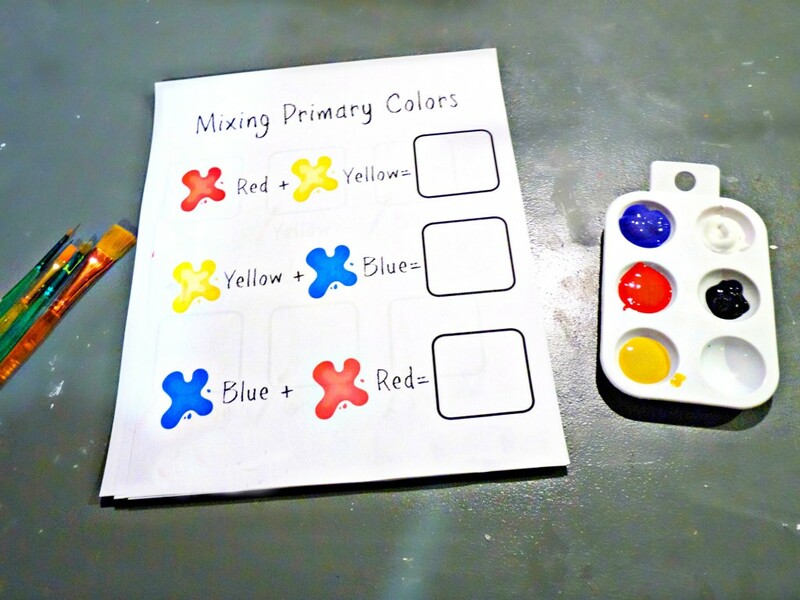 The first page prompts children to try mixing together the primary colors to discover what secondary colors are made. 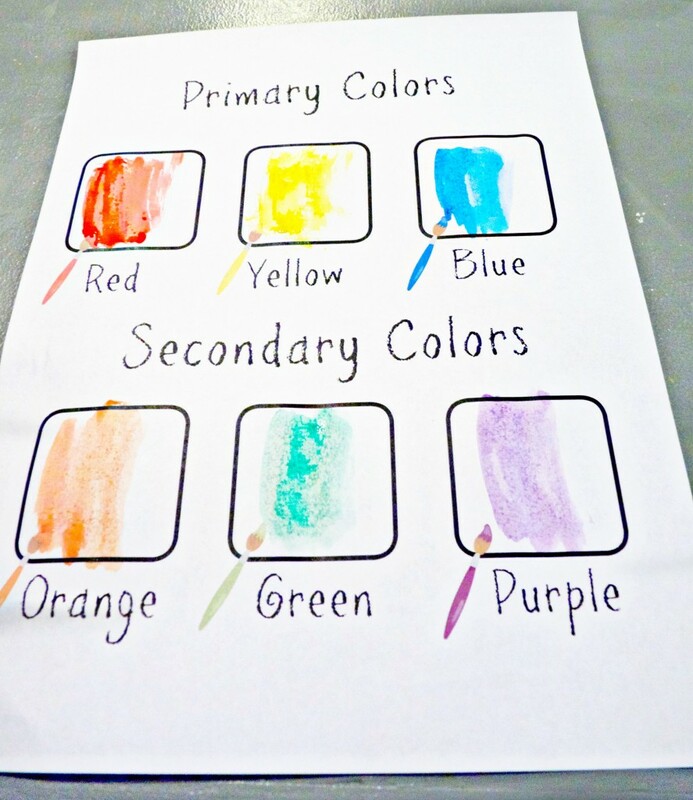 The second page helps children learn which colors are primary colors and which are secondary colors. 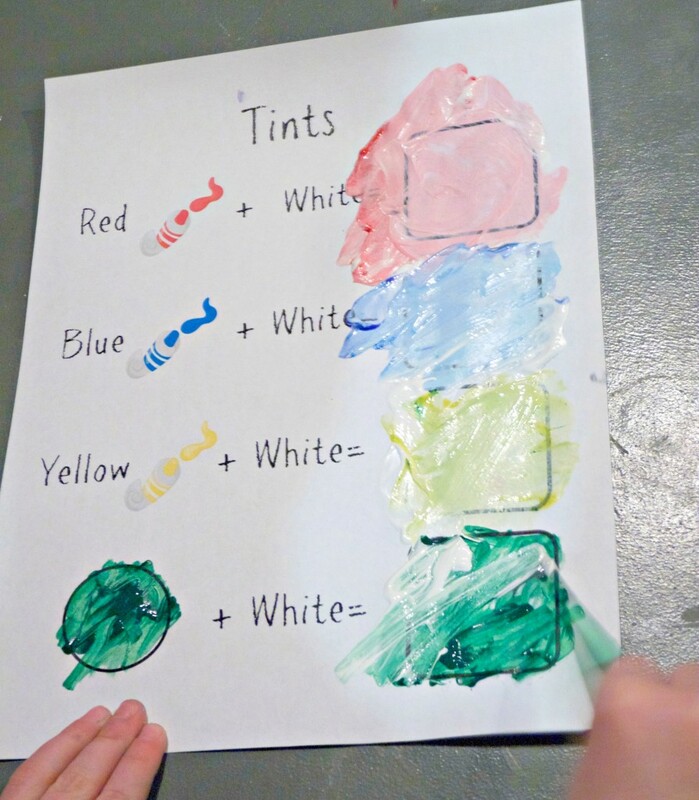 The tints page encourages children to discover what happens when you mix white with different colors. 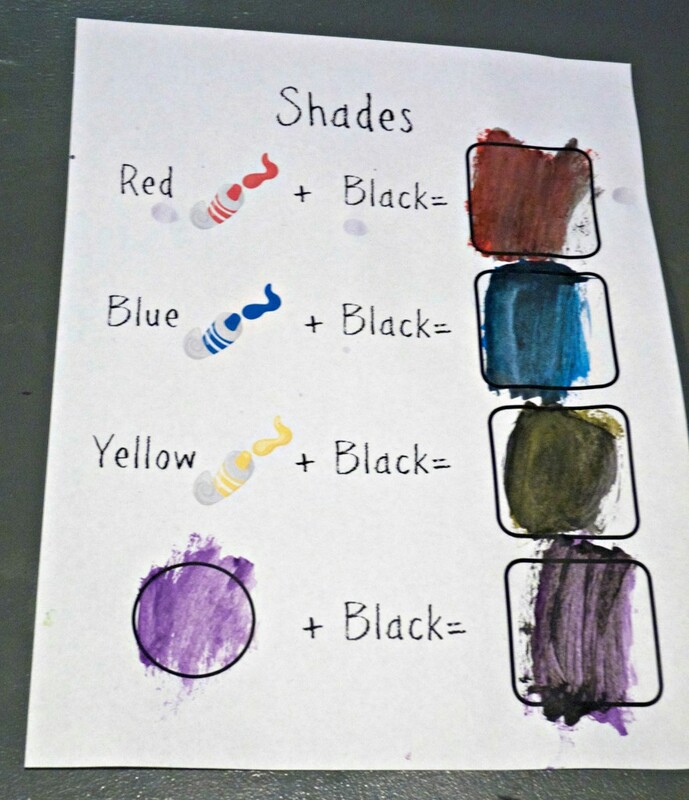 By mixing black and different colors children will then learn how to make tints. 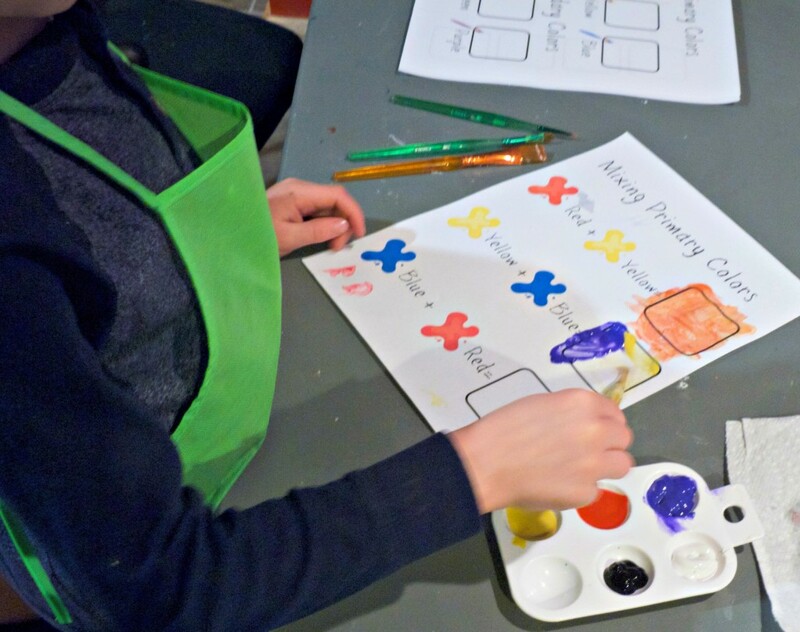 Lastly, your children can discover how all the colors fit together while creating their own color wheels. 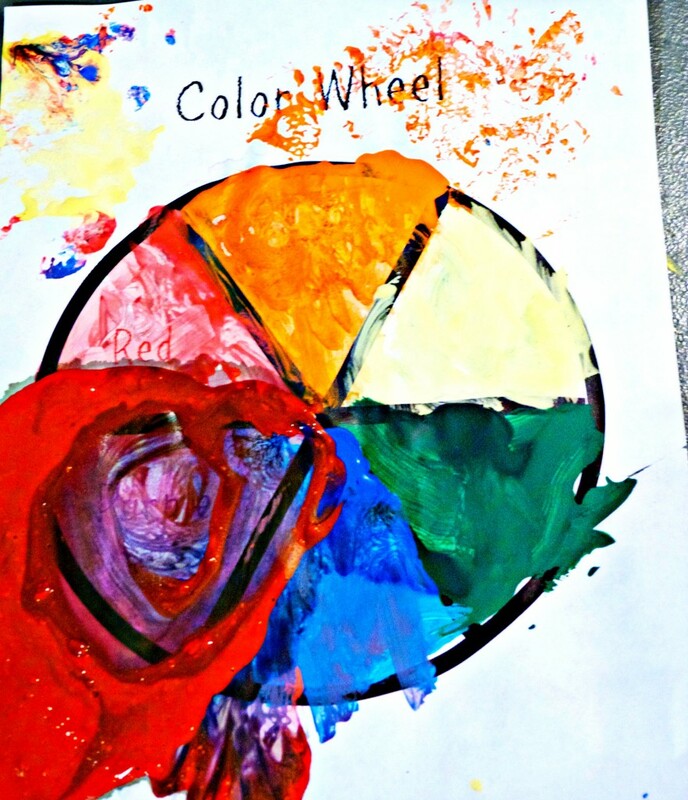 My son got a little to much red paint on his paper, but he was still super proud of his color wheel when it was done. My kids loved learning how to create different colors and what the differences between primary and secondary colors are. 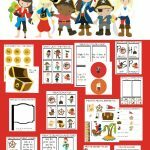 I hope that your kids will also enjoy learning about colors with this pack. Please feel free to download a free copy below. Enjoy! 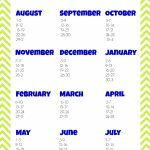 Thank you so much for these great activities geared for younger students!